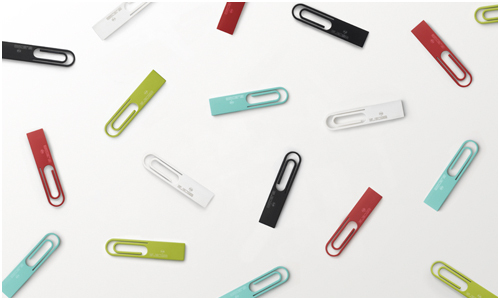 We’ve seen USB flash drives get smaller and even more compact in recent years, and ones that have several uses such as a phone strap. 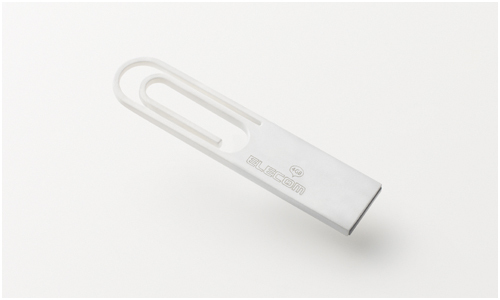 This Data Clip USB Flash Drive by Nendo brings it all together: a storage unit that can also be used as a paper clip. 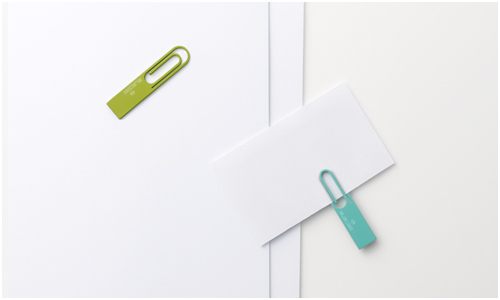 Clip the USB drive to documents, business cards or memos – or even to other Data Clip flash drives. Produced for Japanese company ELECOM. All photos provided by Nendo and used with permission.